Waste to energy is a way to recover valuable resources and is a vital part of a sustainable waste management chain. It is an energy recycling process and one of the most robust energy options to reduce CO2 emission and replace fossil fuel. 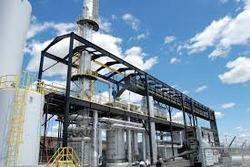 Our plant converts industrial solid waste into electricity and heat for industrial processing. Moreover, it is an ecologically sound and cost effective means of energy recovery.